As you can see it’s impossible to photograph this completed extension to a listed barn conversion, as it’s below the garden. 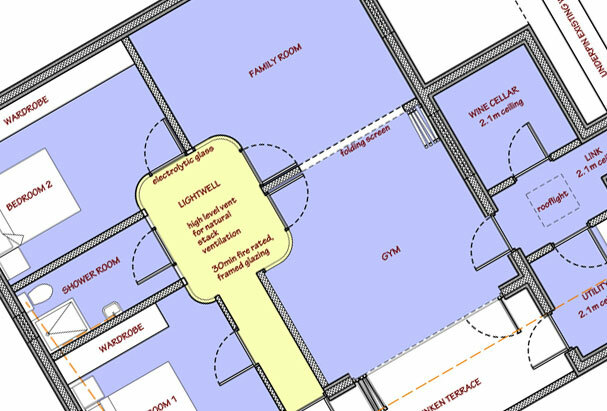 Planning restrictions had prevented the owners from adding the extra rooms they required but when DSA were brought on board the client’s suggestion of going underground was brought to fruition. 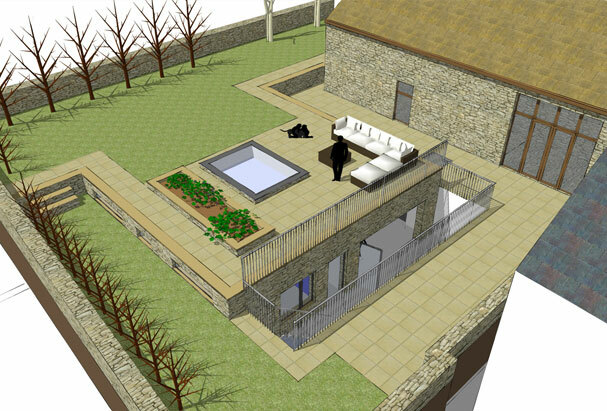 The entire garden was dug up and 100sqm of accommodation placed beneath. 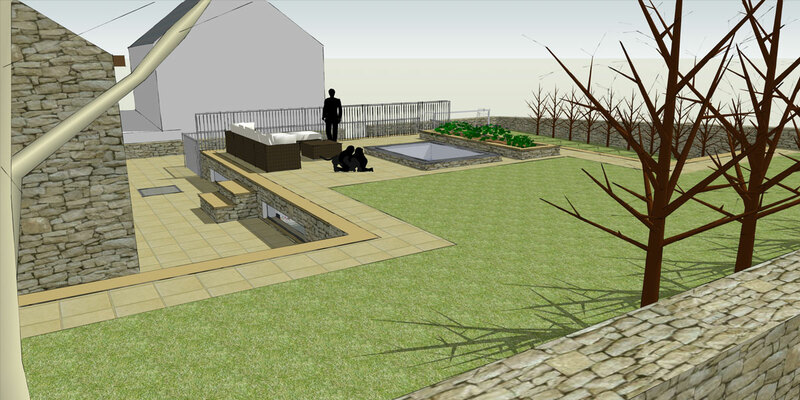 The plan is centred around a central lightwell and sunken terrace giving the space an abundance of light you wouldn’t think possible.